Good little pub, cleanest toilets in Amsterdam. The bartender was the rudest person I have ever met! I don’t recommend ever this place! Click here to read all reviews or leave a review yourself. Our beer menu varies every week and we have more than beers! Make sure you come by and ask the bartender for our latest specials. Try out home-made tosti’s with your favorite beer. You will be back for more! For a quick and salty bite to go with your dutch beer. You’ll be thirsty for more! Leave you contact details and your question below. Also make sure you follow us on our Facebook account to view our latest specials and events. Click here to visit our Official Mulder Facebook page. 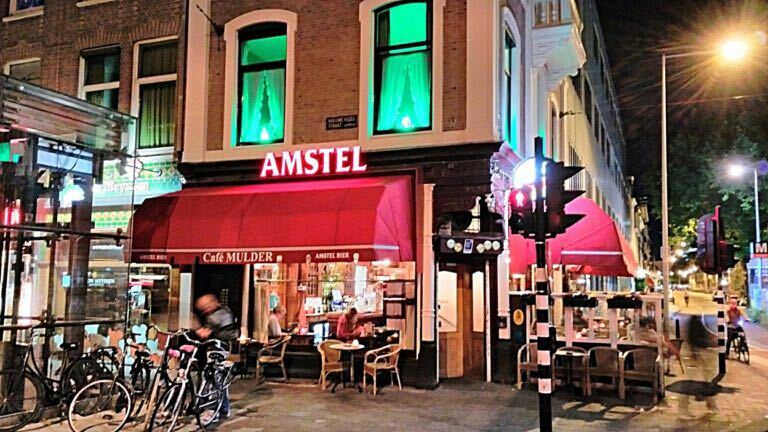 Copyright by Cafe Mulder Amsterdam All rights reserved. Website by Joel Bijlmer.